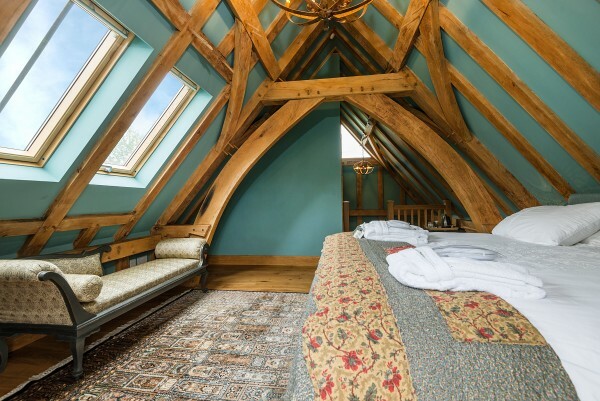 The original timber framed Suffolk Farmhouse has been extended by erecting a new timber frame to provide a self-contained annexe housing two purpose built bed and breakfast rooms. 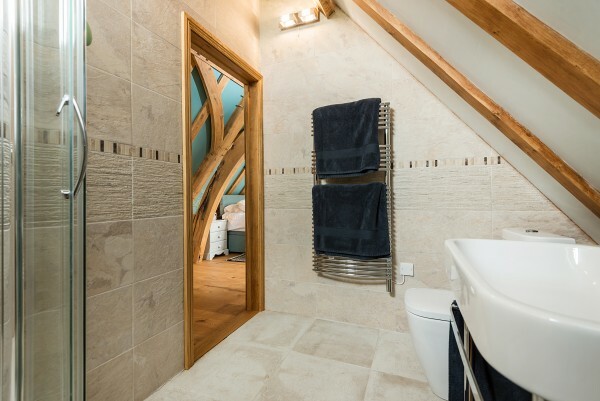 The Orpington Room is nestled in the eves of the new building and has an ensuite shower room. 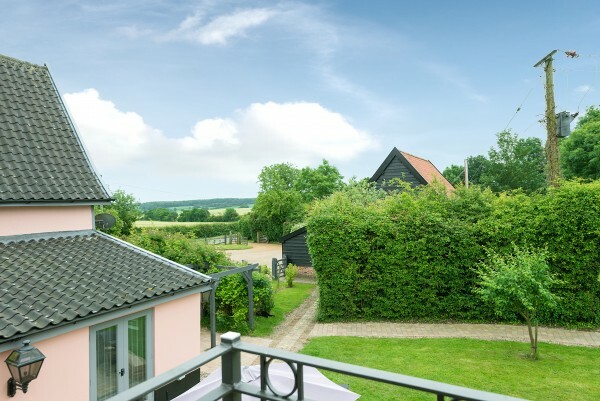 The first floor bedroom, accessed by a private staircase, has lovely views from a private Juliette balcony across the Suffolk countryside towards the Blythe valley. The Orpington and Tamworth rooms both sleep two people and the daily price includes breakfast for two. Payment is accepted by bank transfer or cheque. 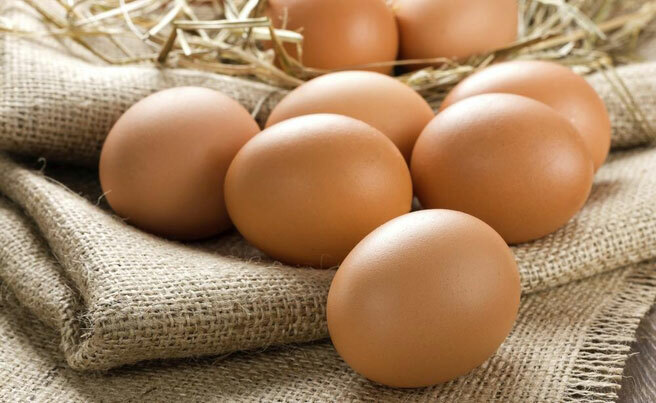 We are proud of our small holding with its rare breed animals and this room is named after our Buff Orpington hens, who provide us with eggs!